Birchwood Casey Rifle and Handgun Range Cleaning Kit has everything you need to quickly clean your firearms. Portable zippered case with MOLLE webbing for transport. 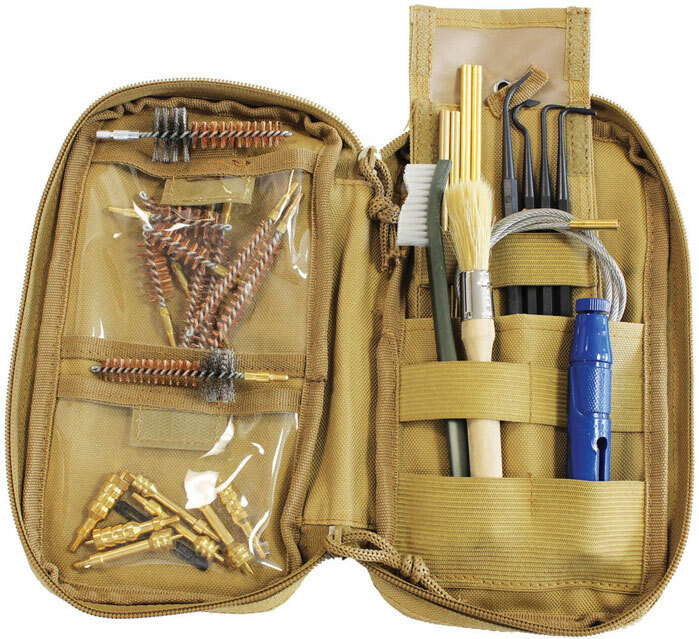 Contains brushes, jags, picks and pull through cleaning cable for today's most popular calibers.